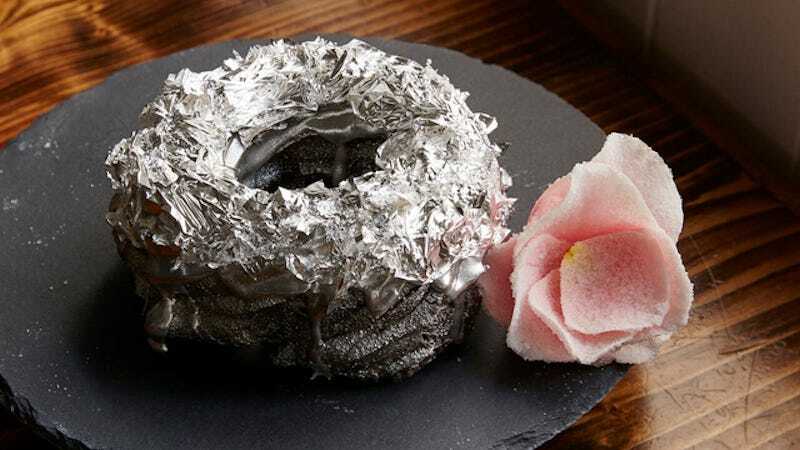 This is a donut that cost $150 because it’s topped with edible platinum and Patrón frosting. Mmmm, money. The worst part is it’s called a Patronut. Björn DelaCruz, a chef at the Manila Social Club in Brooklyn, created this posh confection on a bored day as a follow-up to the 24-karat gold Cristal donut he introduced earlier this year. The donuts will be available for a week, with proceeds going to the American Cancer Society. Or IN YOUR MOUTH.